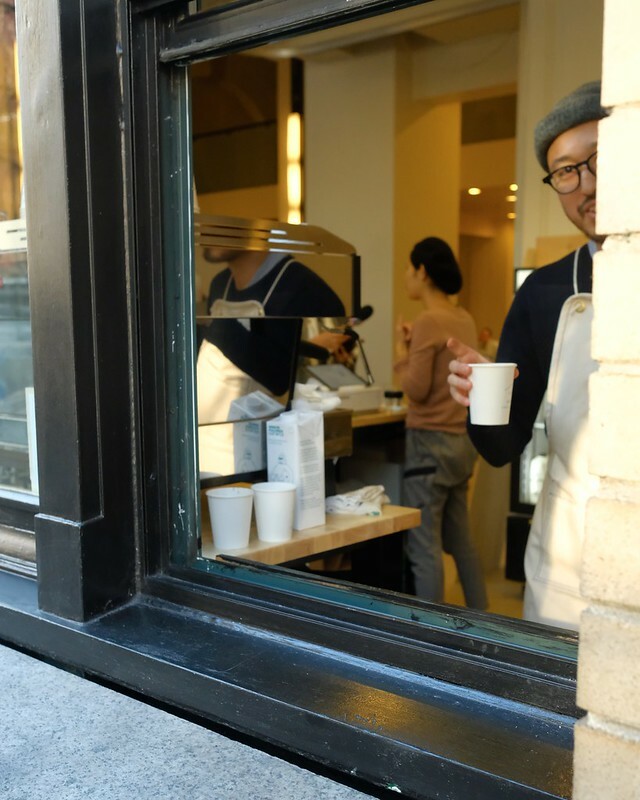 Downtown Eastside—The tiny, shiny, and new Iktsuarpok Coffee Stand utilizes its compact but bustling 183 square foot to go space and location to serve some precisely brewed coffee. 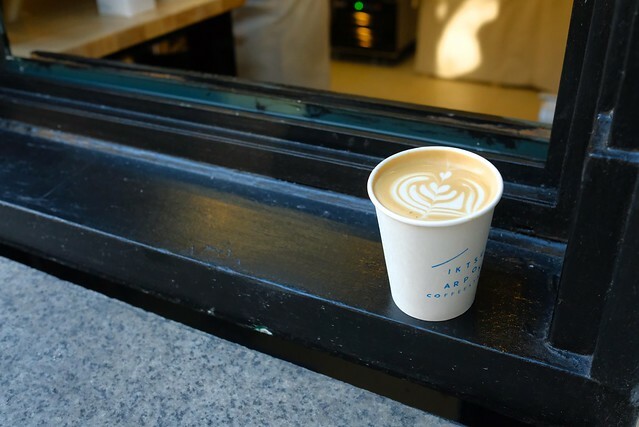 Using Moving Coffee Roasters' beans, the minimalist takeaway window cafe is sharp and basic in its simplicity. My afternoon latte was served with a smile and careful milk to coffee balance that proved certainly refreshing. 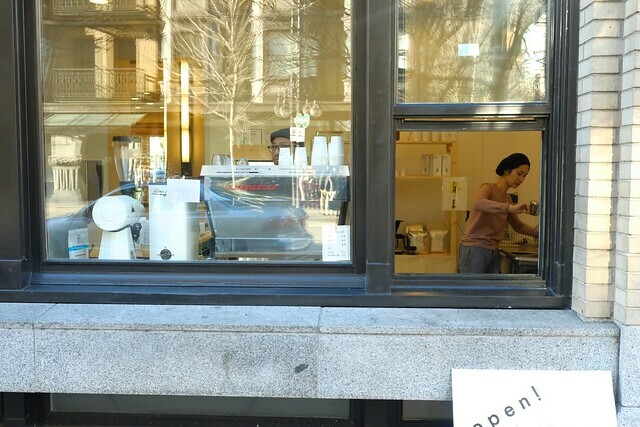 With its offerings of "black" and "white" based espresso bar drinks, there's a definite precision and high-quality taste to their coffee from Japanese owners Rika and Kento (above). 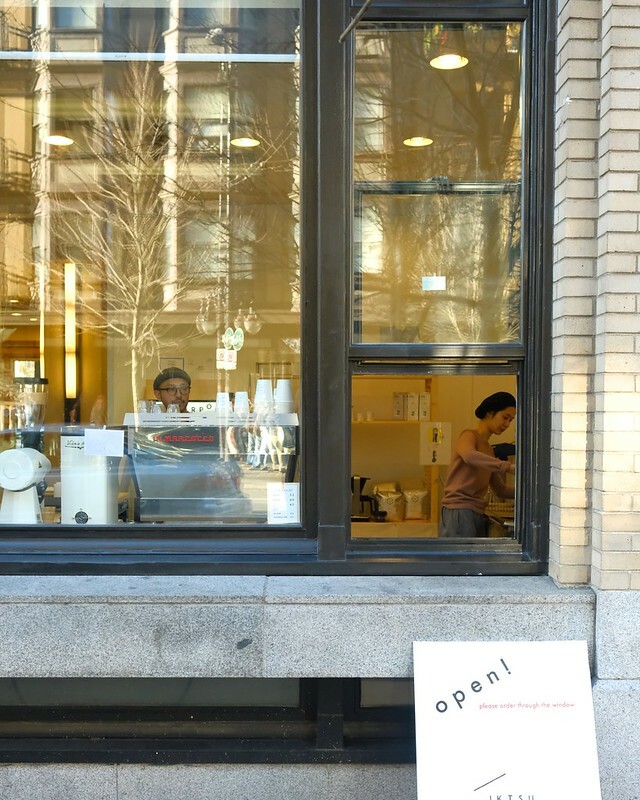 Iktsuarpok is a charming little coffee stall in its East Gastown neighbourhood on Carrall Street.